Many adults today seek a combination of traditional medical practices and alternative treatments as an effective way to relieve symptoms for a variety of health conditions. 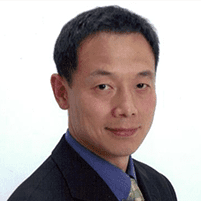 Hao Zhang, MD, Ph.D., of Edison Wellness Medical Group in Edison, New Jersey, is a board-certified internal medicine physician who is also experienced in the practice of acupuncture. This blend of traditional medicine and holistic methods allows Dr. Zhang to provide the most comprehensive health care to his patients who desire an integrative treatment approach. Call or schedule a consultation online to learn more about acupuncture at Edison Wellness Medical Group. Acupuncture is a practice of traditional Chinese medicine that aims to balance the "qi" (pronounced "chee") in your body. Qi is energy that flows through pathways — also called "meridians" — in the human body, and when the energy is out of balance, you may experience pain and illness. During an acupuncture treatment, Dr. Zhang inserts tiny needs into meridians around an area of your body that is experiencing pain or discomfort and seeks to balance your qi. According to the National Center for Complementary and Integrative Health (NCCIH), acupuncture is considered to be a safe practice when performed by an experienced practitioner using sterile needles. As a board-certified physician, Dr. Zhang maintains the highest safety standards for all medical and alternative medical procedures. After careful examination and discussion of your symptoms and conditions, Dr. Zhang has you lie down comfortably and inserts tiny, sterile needles into the treatment area. You may feel a sting or tingling sensation with each needle, but this is temporary and usually well tolerated. Overall, acupuncture is a relatively painless procedure. The needles stay in place anywhere from 5-30 minutes at a time. If you have a chronic condition such as arthritis, Dr. Zhang may recommend that you come in for multiple acupuncture sessions over the course of a few months. Acupuncture is not a quick fix, but with treatment, your condition improves over time. Because acupuncture is a natural treatment method, it can be effectively combined with traditional medicine without the risk of side effects. To learn more about adding acupuncture as part of your healthcare, call or schedule an appointment online with Dr. Zhang. He answers all your questions and concerns and recommends the most effective combination of treatment methods and procedures for your particular health needs.